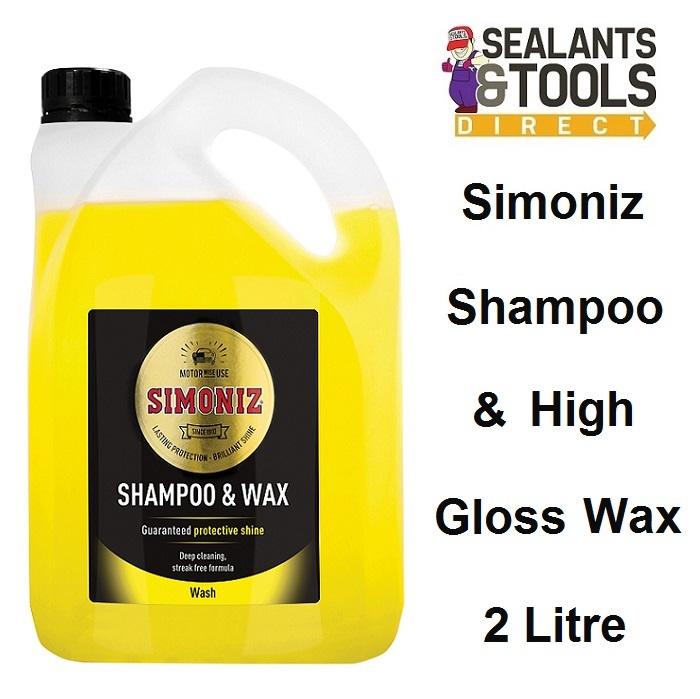 Simoniz Shampoo & High Gloss Wax is a super strength quality dual action wash and wax shampoo that removes harmful, stubborn dirt and grime to leave a streak-free shine and provide lasting protection. Your car's too precious and expensive to trust household products, which can strip the natural waxes in your paintwork, leaving it subject to damage from weather and sun damage. Its powerful enough to lift away the toughest dirt and road grime, yet gentle enough not to strip the wax away.